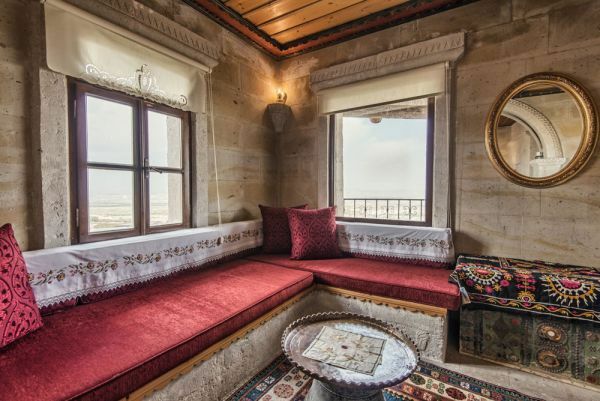 Traditional Seljuk masonry is best exemplified in this room, which also features a breathtaking view. 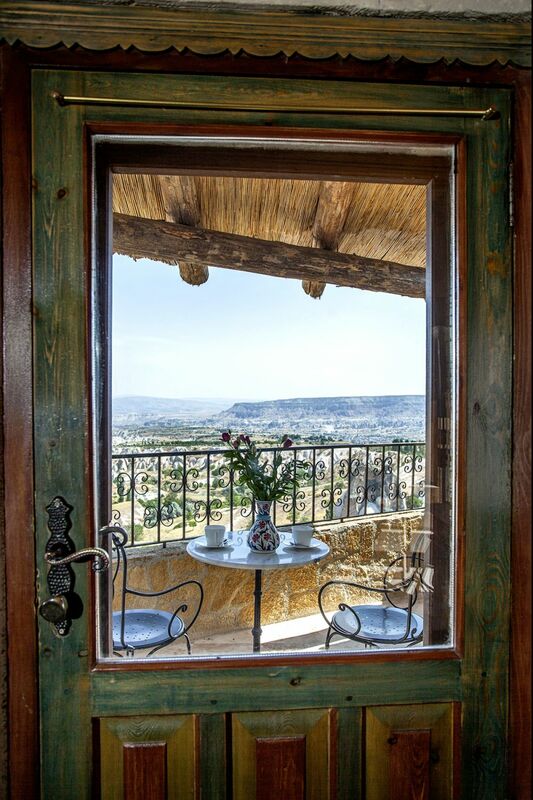 A balcony overlooks the Cappadocia plateau, which will make you feel as if you are the owner of the land. 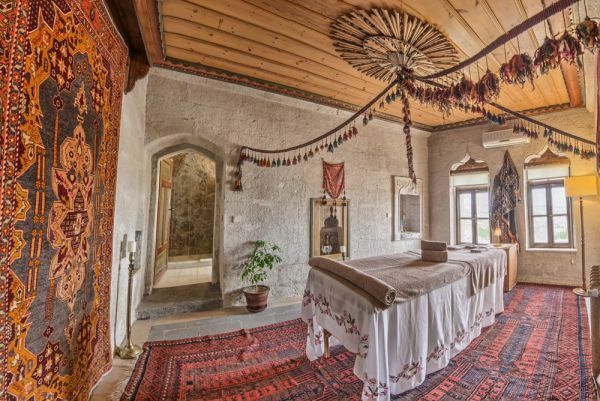 The bedroom is separated by a step and an arch. The 18th century bedstead is brass, inlaid with turquoise and jade. 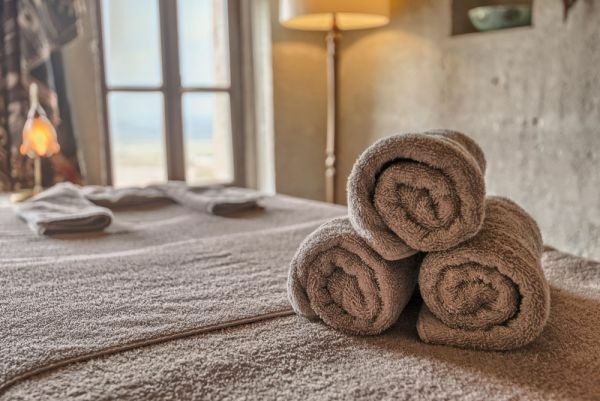 From the bedroom, you can go to the dressing room, then the massage room, and finally the bathroom. 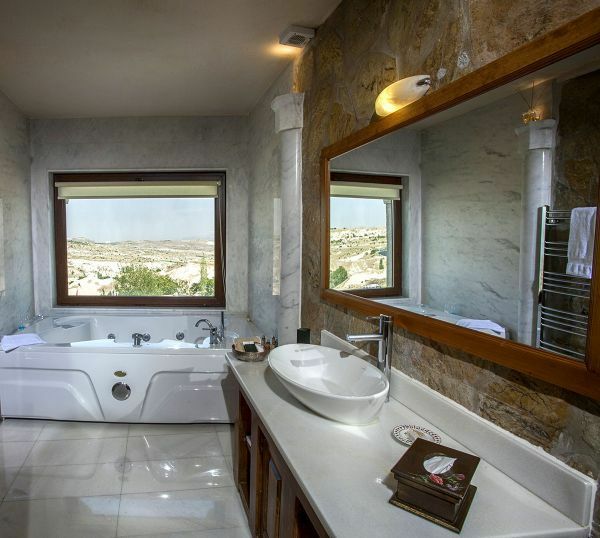 Both the massage room and the bathroom offer a splendid view of Cappadocia.